If you've had ongoing problems with your BMW, you may be entitled to compensation. Kimmel & Silverman provides free Lemon Law help to many car owners every year. Fuel pump problems (BMW 335i, 135i, 535i, and X6 xDrive35i Sports Activity Coupes, Z4 roadsters with sDrive35i, and BMW X5). Power brake system leak (V8- and V12-powered BMW 5 Series, 6 Series, 7 Series). Insufficient clearance between seatbelt tensioners (BMW 1 Series coupes and convertibles). 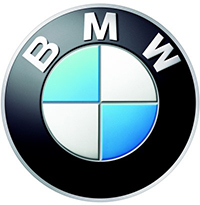 Faulty fuel level sensor (BMW 5 Series and 5 Series Gran Turismos). Improper rear brake discs (BMW X5/X6). If you've tried to fix the same problem more than three times (even if the problem is not included above), or over an extended period of time, and you're under MANUFACTURER warranty, you may be entitled to significant compensation through your State Lemon Law or Federal Warranty Law. Legal help is completely FREE.